Europe needs Turkey, a country that will become one of the 10 largest economies of the world in the near future, Hungarian Prime Minister Viktor Orban said on Thursday. 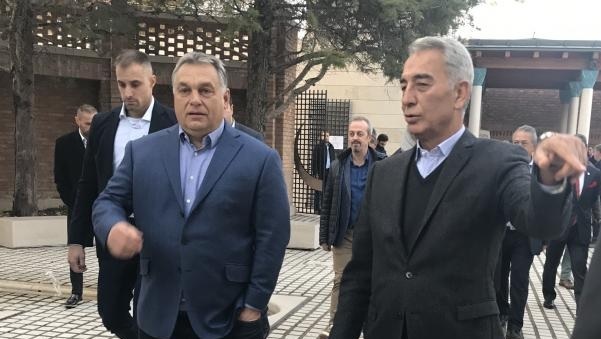 He visited Baba Gül Tyrren, restored thanks to the initiative of the President of the Executive Board of "Polat Holding" and of the Turkey-Hungary Business Council, Adnan Polat, who is conducting a working visit to Budapest. After a meeting with the entrepreneur Adnan Polat and accompanying Turkish journalists, the Hungarian Government's chief responded to the interest of local media. "The Hungarian and Turkish people have positive thoughts and feelings for one another. We have a very special friendship with Turkey. When you ask people here about the Turks, you get quite positive answers. Also when I go to Turkey, I see a great respect of the Turks for me, my country and my citizens. Our political base is based on the friendship of both sides," Orban said. According to him, Hungary recognizes Turkey as a very important country. "It is one of the most important economies in the world and also has a very powerful structure. President Recep Tayyip Erdogan says Turkey will become one of the world's 10 largest economies in the coming years and I am convinced will become. We must cooperate as much as possible with Turkey on Europe's good and interests," added the Hungarian Prime. Also pointing out that between Turkey and the European Union there should be strategic cooperation in the field of security and economy; he said that Europe needs Turkey.